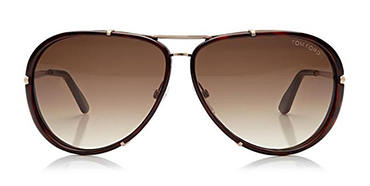 Indeed sultry and sleek has no boundaries, when it comes to owning a pair of eyeglasses or sunglasses from Tom Ford. There’s a sense of creative passion that blends in well with his eyewear and fashion collections. You won’t be able to find designs like Tom Ford, because he’s about modern meets minimalism. Of course art, luxury, and fashion plays well with any Tom Ford eyewear collection. 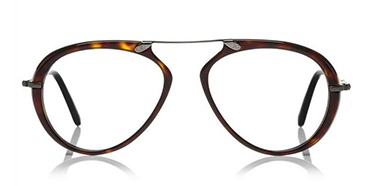 Simplistic styles stream along his collections like the cat-eye, the round, or squared acetate pair of eyewear. Forming a sleek statement logo of a metal T on each side. Yet he defines his signature eyewear with the use of feminine energy. With each famous pair comes the names of famous muses. Along with his men’s eyewear and sunglasses showcase handsome yet debonair designs. It’s a lifestyle brand that’s worn by many celebs, and easily ideal to wear with any look you're going for. Intrigued why not declare your style of independence when wearing a pair of Tom Ford eyewear and sunglasses.